This Spinach Dip Recipe is a cinch to throw together, and a total charmer. 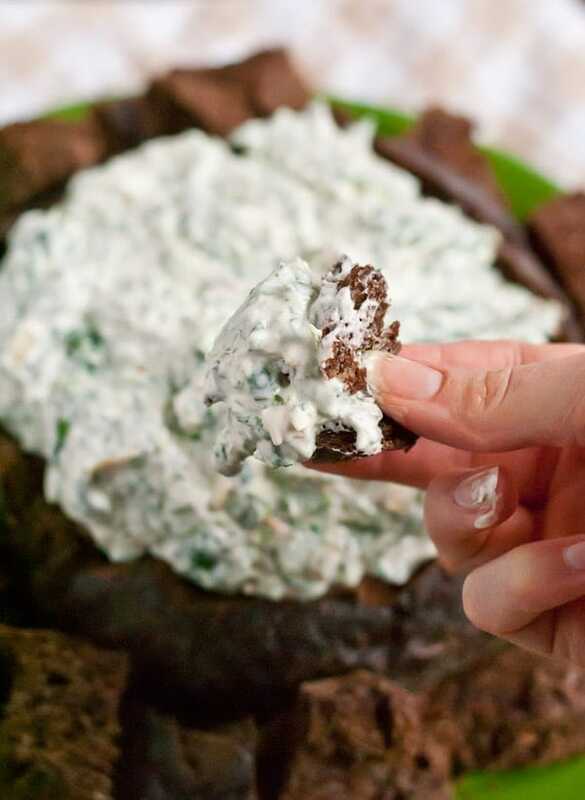 Bring it to your next gathering and this cool creamy dip will be stealing hearts in no time! I’m not sure if potlucks are popular everywhere, but in the circles I grew up in, they were a regular part of life. Church functions, family reunions, Super Bowl parties, even some cookouts were done in traditional potluck style, with guests each contributing a dish. It’s the perfect solution to feed a crowd. 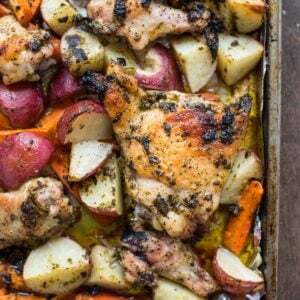 It gives everyone a veritable feast without putting all the work on a single host. I’m so thankful that even today the potluck is a big part of my life. We have them twice a month at church, and they’re one of my favorite things. I absolutely love getting a peek into other people’s kitchens, so for a foodie snoop like me, potlucks are a dream come true. I get to sample dozens of different foods and get a taste for other people’s cooking. One of my favorite parts of having potlucks with the same group of people is that you also get a sense for what the “go-tos” are. These are the things people return to again and again. The things that are simple, fail proof, and always a hit with a crowd. 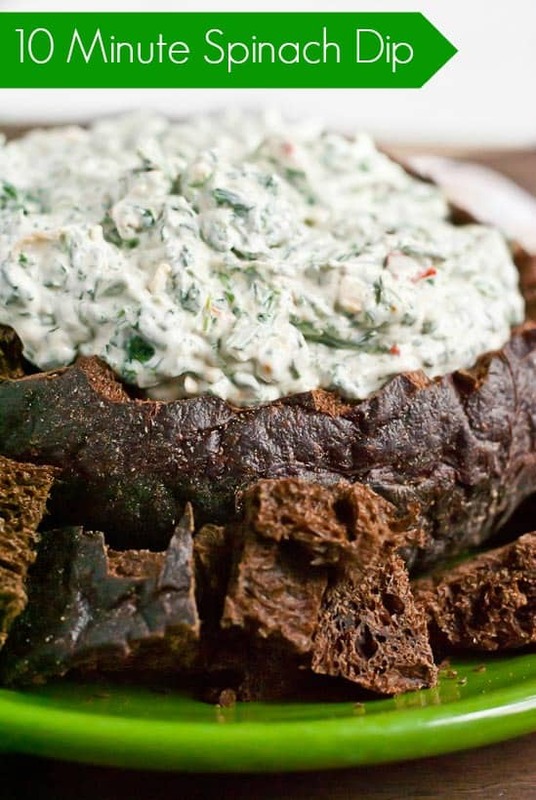 One of those frequent flyers, as I like to call them, is this Easy Spinach Dip in a Bread Bowl. It surfaced at many different potlucks and church functions over the years and each time I was smitten. 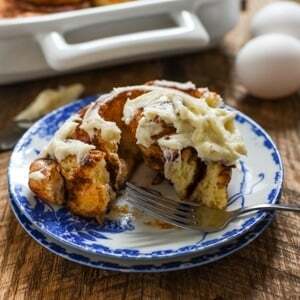 I found myself hanging around the table dipping hunk after hunk of bread into this cool, creamy concoction. After several occasions of over-staying my welcome at the bread bowl, I finally decided to ask for the recipe. I was shocked when my friend told me it was the recipe on the back of the Knorr vegetable dip mix and that it was the easiest thing ever. I’m always skeptical of recipes that come on the back of packaging, but this one did not disappoint. It’s extremely simple, easy, and quick and yields a flavorful dip that’s irresistible with both bread and vegetables. I normally use sourdough bread bowls for this recipe because they’re easy to find, but when I stumbled on this pumpernickel bread bowl I snatched it up. I loved the taste and contrast the pumpernickel bread provided, but sourdough is a great option if you have trouble finding it. 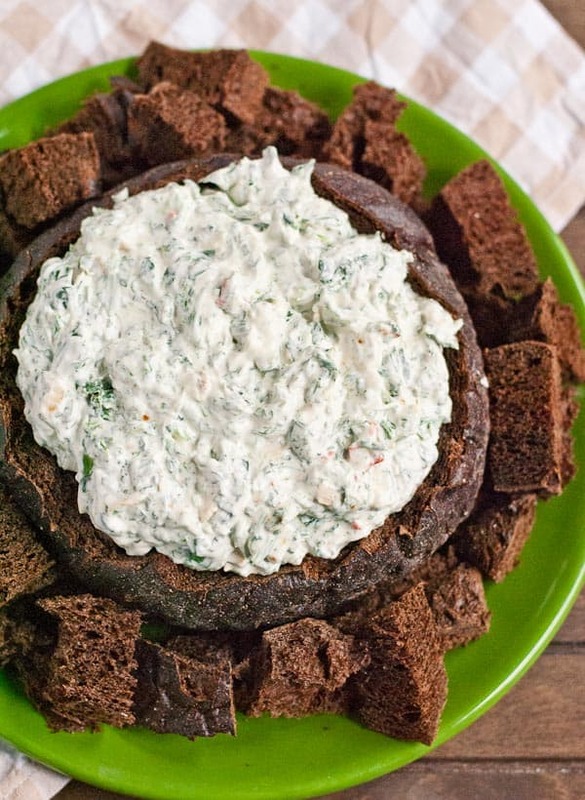 Try bringing this dip to your next potluck and watch the people congregate around it. You may just be the star of the party. Cook the spinach in the microwave or stove top, according to package directions. Drain the spinach, then use paper towels to squeeze out any excess moisture. In a large bowl, combine the drained spinach, mayo, sour cream, vegetable mix, and green onions. Stir until well combined. Refrigerate for 2 hours or until ready to serve. When ready to serve, use a knife to cut out the center of the loaf of bread, leaving about a half inch around the sides and the bottom. Spoon the dip into the center of the loaf, then cut the remaining bread into cubes for dipping. This dip is also great with cut veggies. Oh how I love spinach dip in bread bowls! My step mom used to always make it growing up. It was the first time I made the spinach dip, it turned out amazing. The only thing I did different was I used fresh spinach. Everyone loved it. Awesome! Thanks for coming back to let me know!